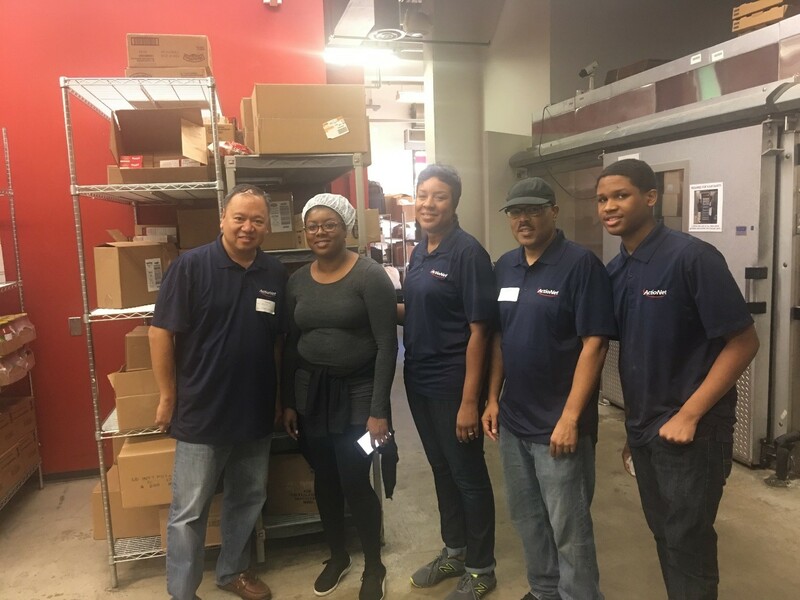 The ActioNet Science and Research Business Unit (SRBU) volunteered during the month of September at the Washington, DC Food & Friends by packing meals for citizens facing health issues. The SRBU team was on hand to sort, bag, and prepare groceries to support the over 1,500 meals that Food & Friends prepares weekly. 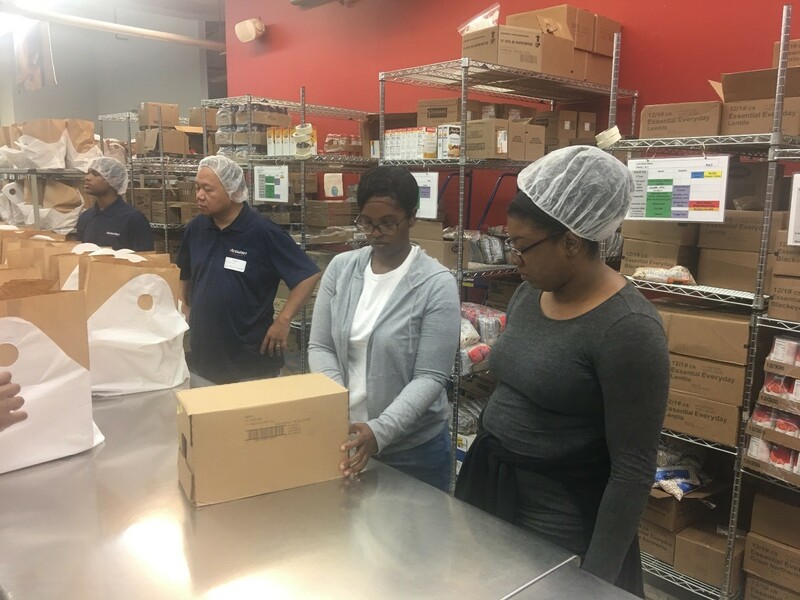 These meals and grocery items are a necessity to meet the changing needs of people living with HIV/AIDS, cancer and other life-challenging illnesses in the Washington, DC metropolitan community. ActioNeters enjoyed the three hours of community service and bonding and will return soon to offer more support. 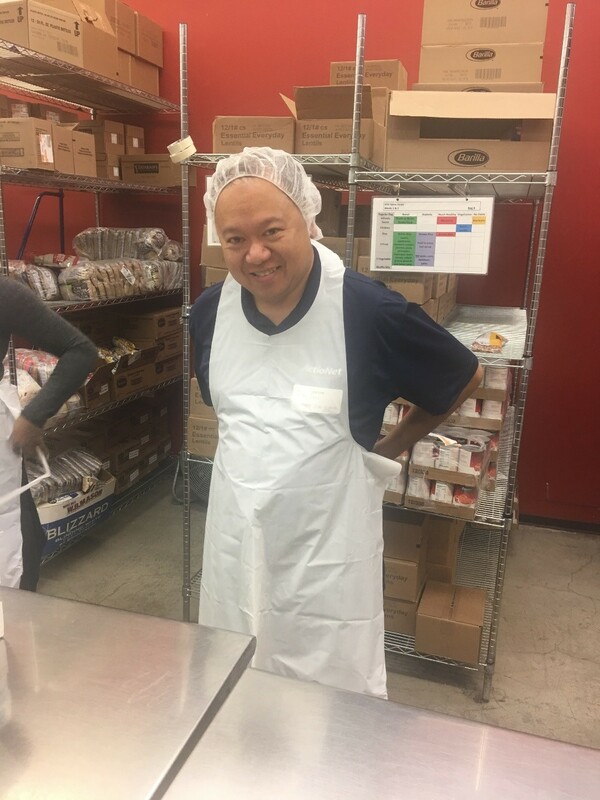 Visit Food & Friends website (https://foodandfriends.org/) for more information on the great work offered at the facility. SRBU and other Volunteers preparing groceries.